Treats from Chef Dennis’ Bakery! Everyone loves desserts! Well there’s no need to sacrifice delicious pastries and desserts because of food allergies and dietary restrictions! 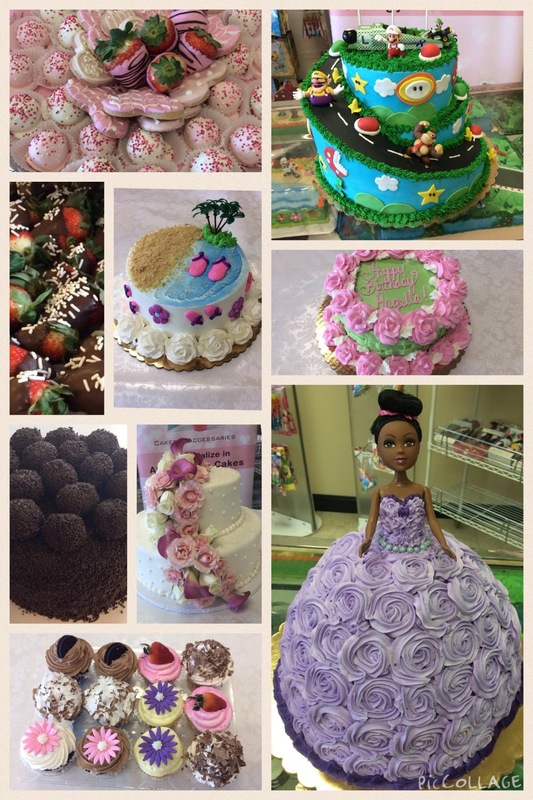 Check out Chef Dennis’ Bakery on Chef Dennis’ Website or on Facebook. As someone with food allergies myself, I can always count on Chef Dennis to make me delicious treats! Most of the time we search for “allergy safe” cakes, cookies, brownies, etc. However, I have had the opportunity to try a variety of new treats at Chef Dennis’ bakery: from truffles, to cake-pops, I have diversified my palette by trying a wide range of new flavors – of which I love all! Not only has Chef Dennis given me the opportunity to try new desserts, but also it was here that I discovered my favorite cake flavor: Black Forest with Buttercream Frosting drizzled with raspberry chocolate and chocolate shavings. Lastly, Chef Dennis doesn’t operate like typical bakeries: he really cares about his customers! Chef Dennis generously donates desserts for fundraisers, and of course no one would turn down one of his desserts! Thanks to him we raised hundreds of dollars to educate young girls interested in studying science and technology! Thank you Chef Dennis for the wonderful experiences we have had with your desserts, and for making our dessert dreams come true! I strongly encourage everyone to visit his Website and Facebook pages. < Previous Allergy Safe Cashews! Next > Say NO to Baking Birthday Parties – NO MORE!